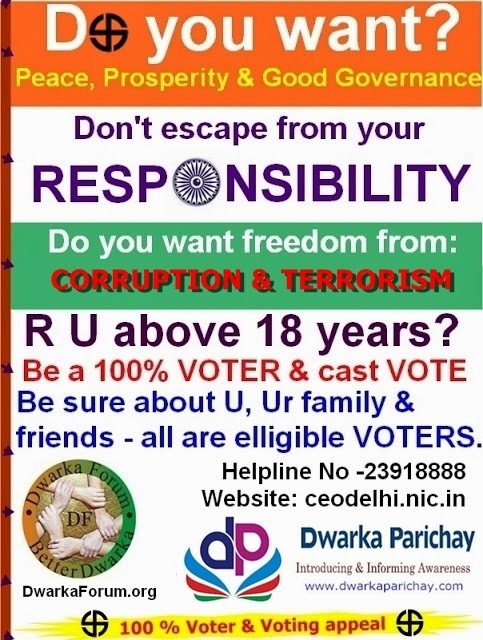 You got one more opportunity to get registered or make corrections in VOTERS LIST for DWARKA MATIALA, PALAM, BIJWASAN. Be the part of the system for a Better NATION. Please circulate/ forward this useful information to your friends/ families/contact & ask concerned CGHS/ DDA Pocket RWA office bearers to put up on Notice Boards.